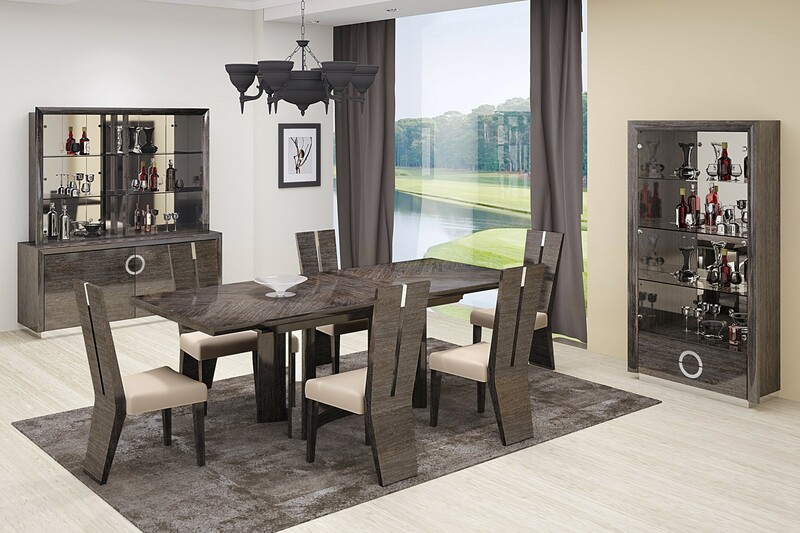 Dining Table: W78 - 98" x D43" x H30"
Dining Chair: W20" x D24" x H43"
Buffet: W72" x D22" x H34"
Hutch: W68' x D15" x H50"
Vitrine: W41" x D18" x H79"
D59 dining room set comes in rich brown lacquer finish accented by round silver handles on buffet and vitrine. Expandable top dining table adds extra twenty inches to already spacious top and stands on pedestal feet. 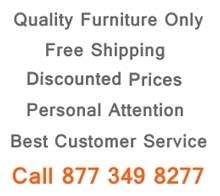 High backs comfortable dining chairs upholstered with beige color seats. Complete your collection by getting buffet, hutch or vitrine.